It's an investment you won't regret. The new iPhone is about to be unleashed, and it comes with a variety of new features that will make your smartphone even smarter. If you’re an entrepreneur looking for a handy gadget companion that can keep up with your busy work days, here's why the iPhone 7 is perfect for your discerning taste and professional needs. This is a basic, if not the most important component of any mobile device, for very obvious reasons. It’s largely been a hit or miss for the mobile industry, but with the iPhone 7, you can access the internet using Wi-Fi for up to 14 hours, 12 when you're on 4G. That’s an average of as much as two hours more than its current form. Meanwhile, the iPhone 7 Plus lets you stay connected via Wi-Fi for up to 15 hours. For the busy entrepreneur who's always on the go, this is definitely great news because now you won’t have to worry about losing your battery in the middle of an important mobile transaction, or have to be reliant on your clunky power bank. The iPhone 7's extended battery life lets you work uninterrupted, even leaving you with power to spare for your online socials. 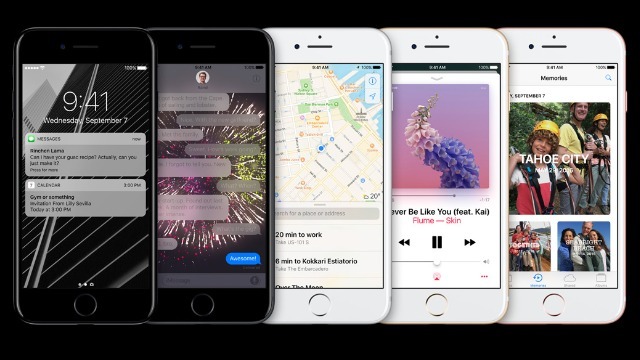 The iPhone has always been one of the fastest smartphones on the market, but Apple stepped up its game by equipping the iPhone 7 with the A10 Fusion Chip, which lets you work at twice the speed of the iPhone 6 at minimum power. You’ll be downloading a lot of files for sure, whether attachments from your email or uploads on your Cloud. It’s crucial for you to have as much space as possible on your phone so that you can have all your important files with you. Making room for your photos and videos wouldn’t hurt too, of course. The iPhone 7 and 7 Plus gives you three options to choose from: 32GB, 128GB, and 256GB.That's double the iPhone 6s and 6s Plus memory options of 16GB, 64GB, and 128GB. That's double the reasons to upgrade! You're a busy entrepreneur, and your gadgets have to be as hardworking as you. Don't let the iPhone 7's sleek visage fool you: it's dust and water resistant, letting you live your life to the fullest without worrying too much about your smartphone's condition. Aside from these, the iPhone 7's got other excellent features, such as two rear cameras—a 12MP wide-angle camera and a separate telephoto camera which lets you can see your world up close. The new iPhones are also equipped with Retina HD displays for cinema-standard color. The iPhone 7 and 7 Plus units are available in Rose Gold, Gold, Silver, and Black across all models. Go for the 128GB and 256GB models and get the sleeker, glossier Jet Black color option! With all these awesome features, it’s not surprising that many can’t wait to get their hands on the new iPhone 7 and 7 Plus. Luckily, it doesn’t have to be a long and painful wait, thanks to Globe MyBusiness' Unli Plus Plan. For as low as P1,799 per month, you can be among the first owners of the latest iPhone model. The best part about it is that it doesn’t matter if you’re a new or an existing Globe Postpaid subscriber: everyone’s welcome to get on board and join. Call 7301818 to order now!